In what is perhaps the least happy ending one can experience in a massage parlor, Robert Kraft, owner of the New England Patriots is being accused of attempting to solicit sexual favors in a Florida massage parlor. Kraft, who twice visited the Orchids of Asia day spa, was caught in a sting attempting to uncover crimes related to human trafficking tied to a chain of Florida parlors. Kraft stands accused of two counts of soliciting prostitution. Kraft “categorically denies” that he was involved in any illegal behavior. If the police can prove the solicitation charge with video evidence, the damage to Kraft’s reputation will be far worse than criminal penalties. Solicitation is a second-degree misdemeanor with a nominal fine and minimal jail time. However, what Roger Goodell thinks of Kraft’s behavior is another story. Carolina Panthers owner, Jerry Richardson, was forced to sell amid allegations of sexual misconduct. In Florida, where prostitution is a crime, “keeping a house of ill-fame” is defined in Florida Statutes 796.06 as renting or using a space for the purposes of lewdness, prostitution, or assignation. It is a first-degree misdemeanor for a first offense that is then raised to a third-degree felony on subsequent charges. Deriving profit from prostitution is also an offense under Florida Statutes 796.05 and can be prosecuted so long as the individual makes money on the exchange and knows that prostitution is occurring. For a first offense, it is charged as a second-degree felony. For a second offense, it is charged as a first-degree felony. This is, by far, the more serious of the two offenses. While Kraft is gobbling up the headlines, the question of human trafficking remains largely unanswered. While the term “human trafficking” appears in just about every article referencing the bust, the police have not released any details concerning those allegations nor are they necessarily implied by the presence of a massage parlor that provides sexual services for their clients. Among the allegations were online reviews of the Orchids of Asia day spa indicating that prostitution occurred there. More damning may be an indication that the masseuses actually lived in the building. Still, however, it does not appear to add up to human trafficking. At least not yet. Those who lived and worked near the day spa claimed that they operated through the night and drew some well-financed clientele. In other words, it did not operate the way a “reputable” massage parlor would. The Skier Law Firm P.A. 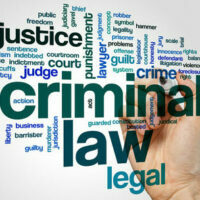 represents defendants in criminal cases in West Palm Beach. Contact our office for more details.